You are currently browsing the tag archive for the ‘Jewelry’ tag. Meridian Jewelry & Design: This Original handmade collection from Lynn and Brad Olander encompass a wide spectrum of design concepts, from the rich jewelry making tradition of the ancient world to the streamlined execution of contemporary silverwork. All pieces are individually handmade. Mary Rose Young is a ceramic artist who lives and creates her pottery in the Forest of Dean in the UK. 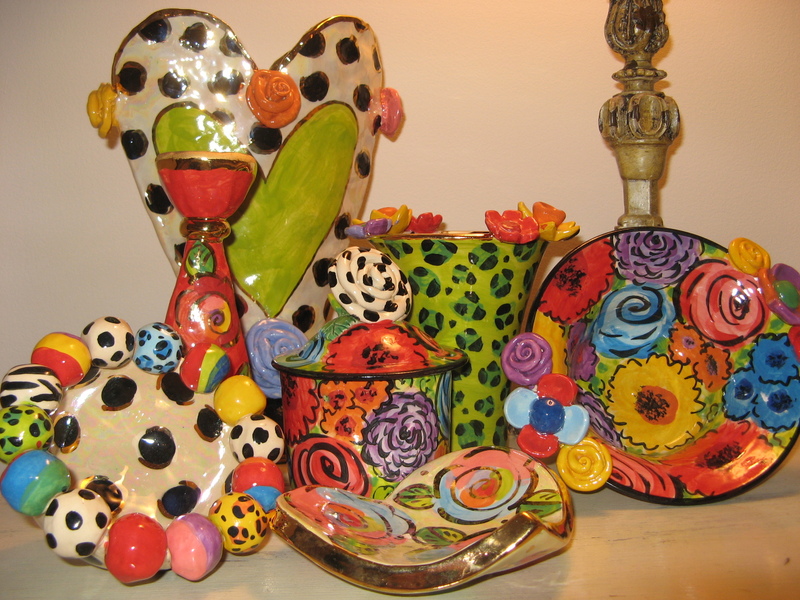 Each piece carries the individulaity of the artist’s own hand with her unique blend of beauty. Neshama, taken from the Hebrew word for Soul, is the creation of the husband and wife team, Avara and Asher Yaron. These handbags are unlike anything you have seen before incorporating many natural elements, such as inlaid mother-of-pearl and coconut shell bases and handles and all natural fabrics, such as silk. JL925: Unique and beautiful, Jessica Lee has gained national acclaim for her eco-chick jewelry collection by creating style-savvy handcrafted sterling silver pieces with stained glass, vintage pottery and sea glass all hand plucked from the California coast. Lexington Studios: All pieces start their life as a painting. Then once created the art is transformed into actual usable objects of art. These unique pieces are something to use and to enjoy for generations to come.